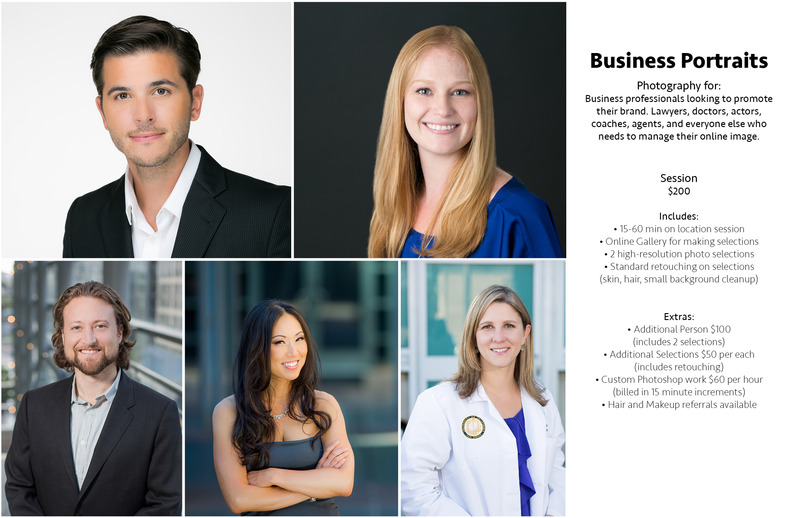 I am a San Diego Business Portraits Photographer specializing in Corporate Headshots, Executive Portraiture, Actor Headshots, and Fitness and Model Portfolios in the greater San Diego area. I am best known for my bold, bright and modern imagery. I love creative portraiture that pops with personality. I am dedicated to customer service and creating a comfortable portrait experience that produces quality business portraits that help promote your brand. Why Business Portrait Photography? In the age of social media, it is more important than ever to manage your digital presence. The portrait that you use for business will make a great impact on someone researching you and your business. It’s important to make a great first impression. In an oversaturated digital marketplace, it’s also important to stand out from your competition. By focusing on what makes you and your brand unique we can create imagery that best represents you and separates you from your competitors. As your San Diego business portraits photographer, I also believe that I can be a valuable partner in promoting your brand. By creating a comfortable portrait experience on location with outdoor headshots or with a studio headshot experience. Mobile headshot studio photography is available. For companies that need many employees photographed all at once with a matching background, this is a great option. I set up in a conference or break room and employees can be photographed without having to leave the workplace. It’s like having a picture day at school. Serving downtown San Diego, the Gaslamp and East Village, Mission Valley, Coronado, Chula Vista, National City, Point Loma, Hillcrest, Bankers Hill, Little Italy, La Jolla, Del Mar, Solana Beach, Escondido, Mira Mesa, Torrey Pines, UTC, Carlsbad and anywhere else businesses are located in the greater San Diego area. 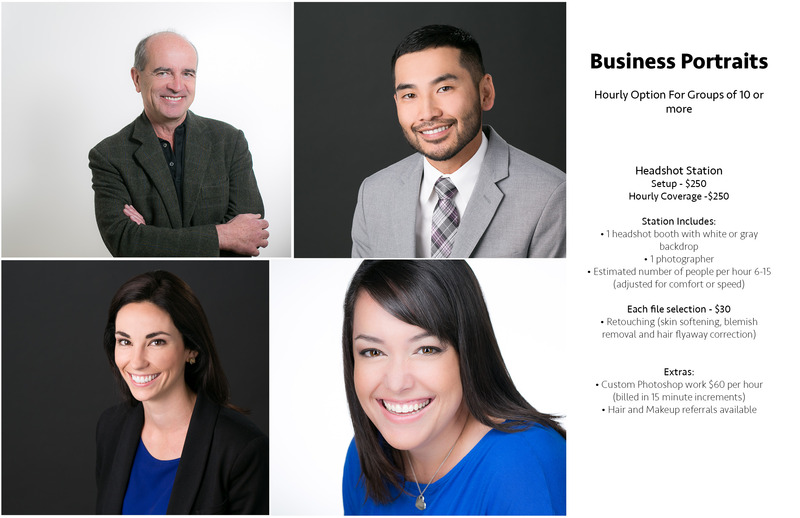 If you are looking for the most talented and creative San Diego Headshot Photographer, then Eder Photo is the headshot photography studio for you. I’m experienced with photographing business portraits both indoors and outdoors as well as in a studio setup. I am also experienced with photographing large group photos as well as more candid photography. My work has been used for LinkedIn profile photos, company website about me pages and staff directories, web and print ads, company annual reports, features in San Diego business magazines and other marketing campaigns. I have worked with actors, models, lawyers, doctors, executives, IT professionals, chefs, personal trainers, life coaches, community leaders, politicians, as well as small and large companies.